In last week’s blog I discussed to importance of adapting an exercise program to the unique needs of the athlete. Today, I would like to expand on that theme. 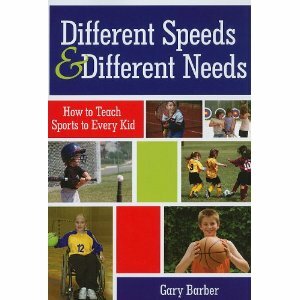 Let’s assume that a special needs athlete asks you to coach them. How would you go about designing an exercise program that is challenging and yet respectful of their capabilities? My sons have autism and yes I have seen film “The Rain Man.” If someone gave me $10 for every time I have heard that, I would be a wealthy man. I remind myself that I have to accept that not everyone carries an informed understanding of autism and its challenges. Sometimes I get mischievous and tell them that my eldest son – Michael – is an excellent card counter; cue the Rain Man in Vegas dialogue. The conversation usually concludes with someone saying“it’s amazing the math skills those kids have.” There seems to be genuine surprise when I tell people that my son has poor math skills (learning disabilities can often accompany autism), but he is an excellent distance runner. Michael has won many races and is a joyful participant with Islanders Running Club – a club we started for kids that needed a bit of support.